Punched Tin and color marbles hanging lighting fixture.Enjoy the light peeking from these beautiful hand punched tin lanterns. The intricate patterns and colorful decorative marbles create a dramatic lighting effect. Wired. 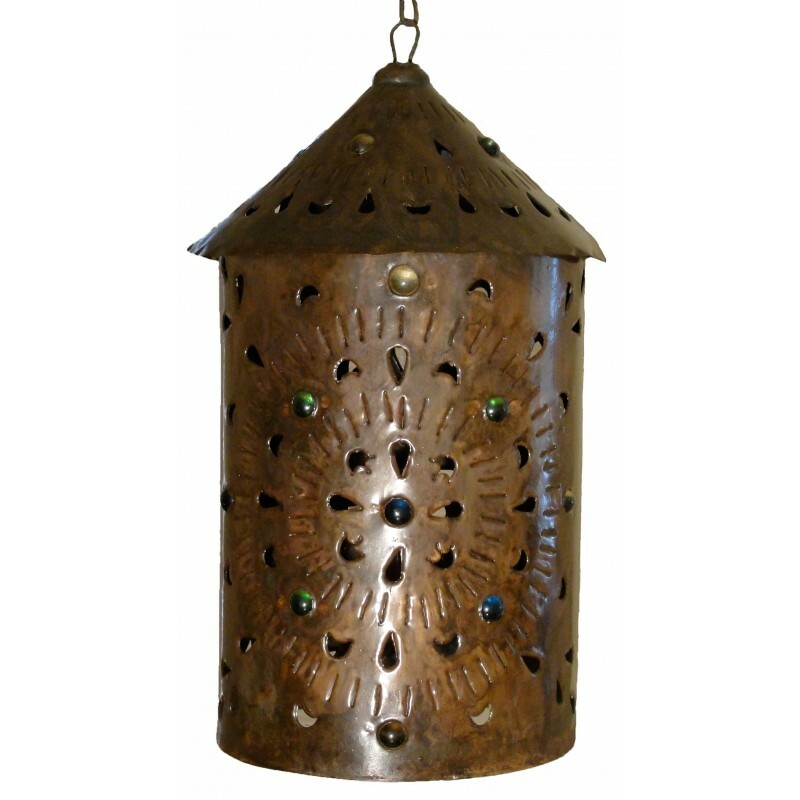 Punched Tin and color marbles hanging lamp, this beautiful handcrafted piece is made with punched tin patterns and color marbles by artisans in Mexico, Decorate your home or bussiness with this beautiful mexican lighting. Handcraft wired is optional, please check the box below if you want it. We also have related items shown in the accesories tab.